What changes the new Gutenberg editor will bring in the page builders ecosystem? How will Beaver Builder page builder integrate with the upcoming Gutenberg editor? 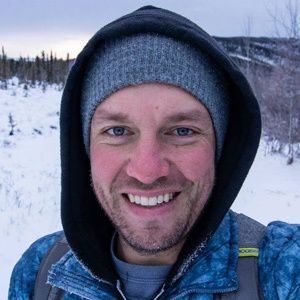 Robby McCullough from the Beaver Builder team shares his insights including all new design focused feature in the new Beaver Builder 2.2 version. Page builder ecosystem has skyrocketed in the last 2-3 years primarily because new page builders are really good and adequately serve the purpose of faster website development. Will this page builder party continue or is there a big bump coming ahead? Page builders started with basic page building functionality and the majority have expanded to building other parts of the website like header, footer, custom data like Beaver Themer does in Beaver Builder. Are there any other aspects of website building that page builders have not addressed till now and should be addressed in future versions? The biggest argument against page builder based development by a non-page builder user is the amount of HTML code being generated to create a layout. How do you counter this argument and do you feel there is room to put more efforts into reducing the amount of HTML code? 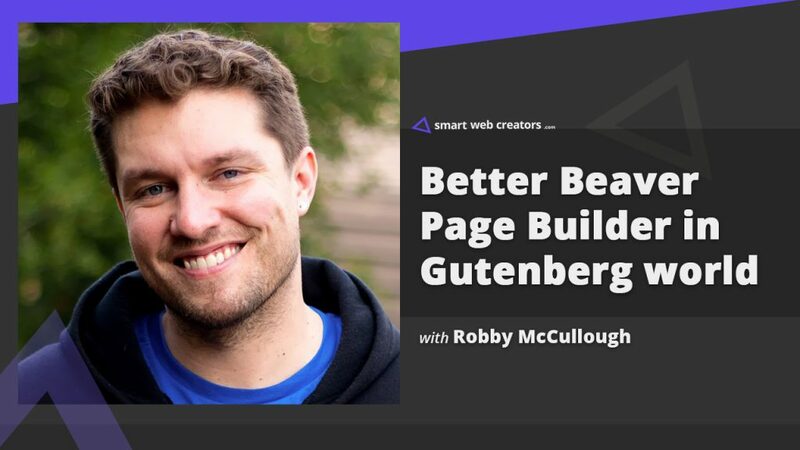 A lot of people are echoing that Gutenberg would kill page builders, which obviously is not the case yet because Matt Mullenweg is yet to reveal what 3rd or 4th phase of Gutenberg would look like. How do you view this Gutenberg story from the point of view of a page builder product creator? Would page builders take a parallel path to Gutenberg or they would start complementing with Gutenberg core for better integration? Just like we have plugins in WordPress, now we are seeing the influx of Gutenberg blocks with specific functionality. Is it right to assume, page builder modules will also serve as Gutenberg blocks down the line? Also, would smaller plugins that address front-end display functionality like testimonials, image gallery etc, would they only be available as Gutenberg blocks in near future? Beaver Builder 2.2 version had added features for better control of the visual design of content without writing CSS code. What was the thought process for this new direction? A lot of Beaver Builder users are excited about new premade row templates designed by Paul Lacey and his team. Are you adding these to test waters or can we expect this part expanded in a big way in the follow-up Beaver Builder versions? An official Beaver Builder templates cloud, I mentioned this idea long back and I am sure it would be useful for Beaver users in general. Any plans in this direction or is it my wishful thinking? Gutenberg has resulted in a lot of nervous faces, my Beaver Builder website will break when I update to WordPress with new Gutenberg editor. What do you want to say to these users to calm things a little? Gutenberg block for displaying full-width images in the content areas need theme updates. Can we expect Beaver Builder theme updated for such Gutenberg compatibility? How does Gutenberg affect Beaver Themer in its existing feature set? Fiverr for small tasks like editing copy for grammar. Use Metorik to see WooCommerce store reports in a better way. For automated accounting use Bench.co for transactions. Like Discord app for communication over Slack. Use Pagely for web hosting of their products website. For email marketing messaging use Drip service. Love “Hiking for Geeks” for digital detox (geekadventures.org). Robby McCullough is one of the three founders of the Beaver Builder page builder plugin for WordPress users. He along with Justin Busa and Billy Young created the Beaver Builder brand for Beaver Builder Plugin, Beaver Builder WordPress Theme and Beaver Themer addon. Beaver Builder is a premium page builder plugin in the WordPress ecosystem. It is widely used by big agencies for building custom client websites.